Every instance in our lives, we’re negotiating to some degree. These are everyday situations where an agreement needs to be made, this based on yours or the other persons opinion, insistence, recommendation, and ultimately persuasion, This could be asking your kids to clean up their room, or buying a car. Contrary to what most think, everything can be and is negotiable. An idea, a fixed price, or policy does is represents starting points to begin negotiations. Some will refuse to offer information, until they get something back in return, is negotiating. It needs to become a win-win situation, for it to work. This can be reading verbal or nonverbal cues which are revealed during the negotiation process, which are exposed by those who are less experienced, which gives them the advantage. The lip bite is a tell. Look for the subtle biting down on the lips. What this means is that the person you’re negotiating with, has something they want to say, but are reluctant to say it. It can be an admittance of guilt for instance in criminal situations, where someone is wanting to or about to confess. So once detecting lip biting during negotiations, encourage the person to speak, as those who are reluctant, usually believes that you won’t agree with them. During negotiations, these obstacles needs to be addressed, this before the negotiations can proceed or conclude. 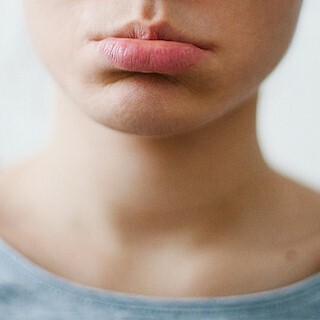 The lip purse is a slight outward push of the lips, which reveals the person you’re negotiating with, thinks differently from what you just said, or they don’t agree. The lip purse becomes key, to identifying objections that are preventing a successful resolve. Once you state a certain price, and the person immediately purses their lips, what that means is the price is too high. The key becomes getting that person to change their mind, this before they articulate their response. The reason for this is because once someone says something out loud, they’ll stand by it. Once someone articulates a position, it becomes difficult to change their mind. What’s known for certain is we think quicker than we talk. What the brain does is spontaneously reacts to what we’re thinking, this seconds before we speak. When telling the truth, every nonverbal reaction is synchronous with our words. When someone is lying, they’ll reveal what they’re really thinking with their nonverbal display. This can be slightly nodding their head up and down, while saying “No.” What this says is they’re not telling the truth. During negotiations, where there’s plenty of posturing on both sides, look for asynchronous head nodding, which lets you know that they’re attempting to bluff you, or they’re throwing you off track. What people will subconsciously do, is draw or lean closer to someone or something they like, while slightly distancing themselves away, from people or things they don’t like. During negotiations, once a person leans back in their chair or takes a step back, what that signals is opposition and disagreement with what you said. What noticing this does, is gives you the opportunity to change your message, this to avoid further alienating them. If someone distances themselves, what that can also reveal is deception. If they’re not being honest, they’ll slightly tilt their head back, right before they speak. Then once they start to talk, they’ll return their head back to its initial position, as the brain aligns with the spoken word. Distancing can also be used to reward a wanted response, or punish unwanted behavior. Once you know that someone is negotiating in good faith, then lean forward to tell them you like what you’re hearing. If someone’s not cooperating or isn’t negotiating the way you want, then lean back and cross your arms, this to show your nonverbal disapproval. What they’ll subconsciously do, is pick up your visual cue, and hopefully begin acting accordingly. You’re in the closing stages with the person you’re negotiating with, so it becomes important to know exactly where you stand with them. The best way to find out is by asking them a direct question, one that requires a “Yes” or a “No’ answer. If they begin with “Well,” then they’ll give you an answer you weren’t expecting. If they begin with “Well,” they’re about to reply with an answer other than yes or no. They know you’re expecting a “No.” What “Well” means is they’re giving you an answer other than “No,” which means they’re guilty. The “Well” technique can be used to test veracity of the other person, not only in negotiations, but in every area of your life.